Start by rinsing and chopping the potatoes into very small pieces – the smaller the pieces the faster they cook! Finally, add the finely chopped fenugreek leaves and mix. Taste and season with additional salt if required. Allow to cook for another 3 mins and you’re done! 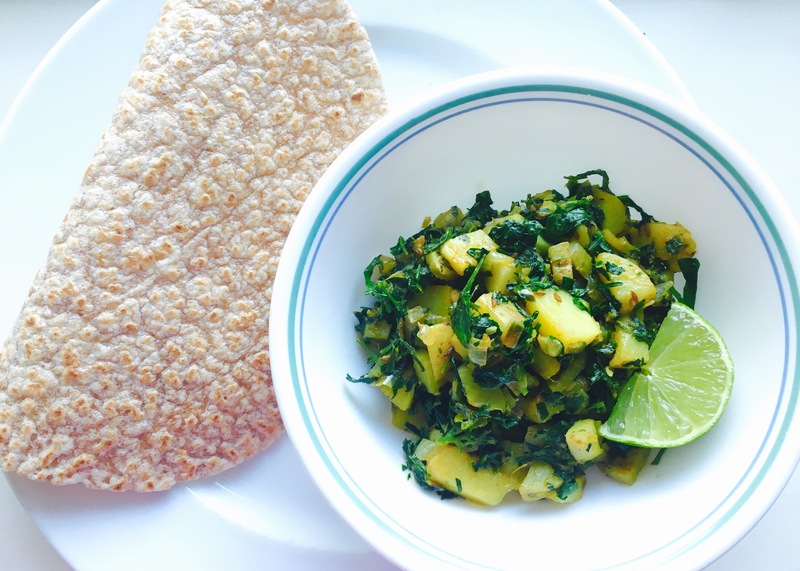 Serve as a side or with some chapatis!